Valentine’s Day is right around the corner. It happens to be the biggest date night of the year. 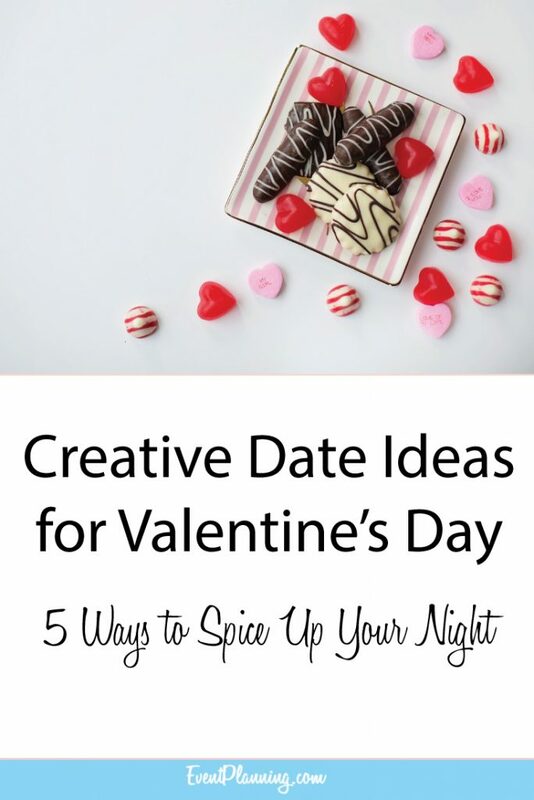 With that, we have a list of creative date ideas just for you and that special someone. Pick up a projector, and a movie that goes along with it. Drive up to your garage, or even somewhere deserted with a bed sheet, and set up your own drive in Movie Theater. Just make sure you test out the projector before the big date so you know it works properly. Instead of a typical dinner date, spice it up a little with a progressive dinner. Pick out 3 to 4 different restaurants and venue change in between courses. Attend one restaurant to try an appetizer, go to another restaurant for the entrée, and then one more for dessert. At the end of the night, hit up a bar for end of the night drinks. With this different take on dinner, it will be a memorable date. This may be harder to do for Valentine’s Day because of the long wait times, but would work great for the weekend after. There are two different ideas in how this date could work. The first is each day leading up to the date, give your date a question with two options. For example: red or white? fast or slow? indoor, outdoor? These questions are related to the date. Red or white means the color shirt you would wear. Fast or slow would mean fast food or eat in restaurant for dinner, and indoor, outdoor would mean an indoor date or an outdoor date. During the date, let them know how they arranged the date. The second way of doing the scavenger hunt is giving them a card on the day of the date with a clue that leads them to a new location where another card would be waiting for them. There would be about 3 or 4 clues that lead your date to where you are. It could be a fun picnic at the end of the night, it could be to a rock concert you both have wanted to go to, or even an amusement park. The destination as to where your date ends up is truly up to you. What does this mean? Does your date love Sicily? Perhaps Paris? Or has always wanted to visit London? Well, take the time to create a dinner that replicates that area, then cut out parts of the city and decorate your home. Hire a friend to be a waiter that night and bring a piece of Sicily, Paris, or London to your date. It would be one truly memorable date. Do you have a love for art? Perhaps you have always wanted to learn more about wine? Or your date has never learned how to tango dance. Find a class you could both enjoy together and take it. There are plenty of watercolor art classes around. There are plenty of dance classes around from tango to salsa to ballroom dancing, and wine is always an enjoyable subject. No matter what you end up doing this Valentine’s Day just remember to have fun, and enjoy each other’s company. Some of the best date ideas are ones that allow freedom and a night of overall fun. Do not forget about the amusement parks around town, the opportunities to be a tourist for a night, or the silliness that you could get into on a night on the town. – By Jamie Gall. If you would like to read more of Jamie Gall’s writing you can find her at Minnesota Girl in LA. Hey I used one of these with my gf and she loved it!! Great advice – very creative, thanks!